order was placed on tue. night it arrived on thurs. afternoon. 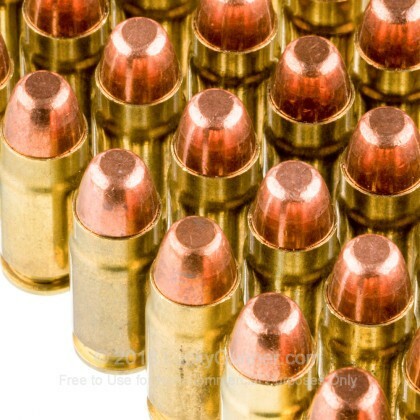 the rounds are kinda pricey but that's what you get when you opt for an odd caliber, but the fun factor is off the charts when it comes to this round. be sure to bring your muffs these little guys are loud. 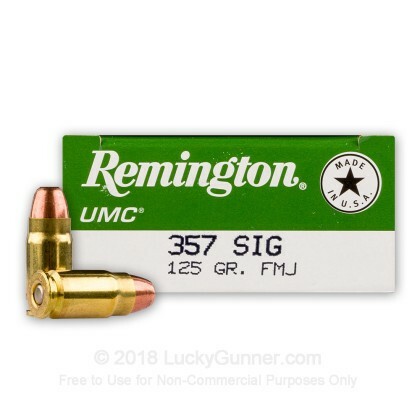 I had recently purchased a 357 Sig and wanted to try it out so only bought 100 rds for it. 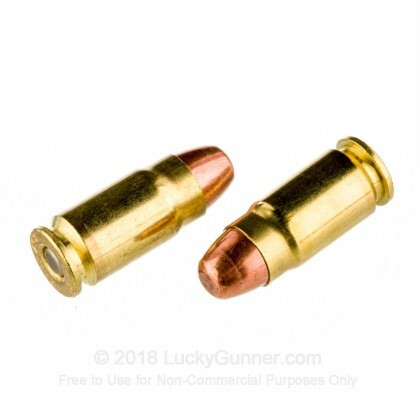 Lucky Gunner was my web site of choice for their excellent reputation, speedy processing, guaranteed delivery, excellent product and great prices. Lucky Gunner has my business. I am definitely a repeat and satisfied customer. I ordered this product and had it in-hand within 4 days. Excellent product. Excellent customer service. I highly recommend both the product and Lucky Gunner. I've bought several hundred rounds of 9mm , 357 SIG and 40 S&W and 38 Sp for my Glock 19 , 32 and S. & W. 38 Special . Haven't fired all of them yet but have a couple hundred and not a misload or misfire yet . This is the place to buy . Delivery is fast ! Bookmark this web site . Will order again when purchasing ammunition. 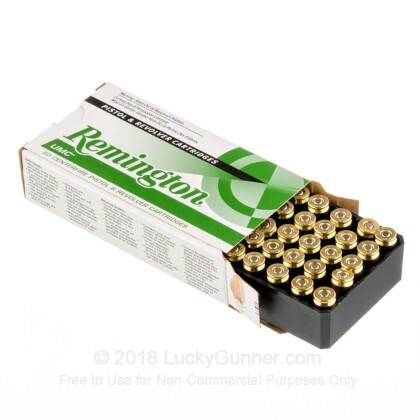 I ordered the rounds for my son who is going to use them for qualification later this month therefore I cannot rate the product yet. I can comment on shipping which was as promised. Thank you. 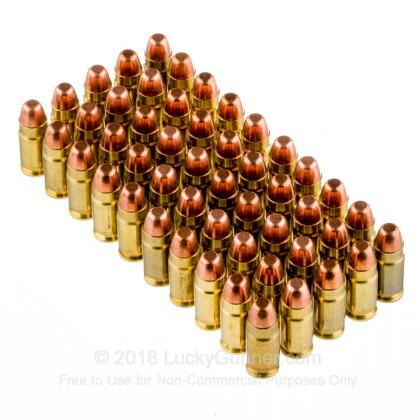 I ordered 500 rds of this ammo and within 4 days it was at the house. I fired all 500 rds through a Glock 31C. All I can say is the product I received was flawless. Not one jam or misfire. It was a good day of shooting. Would definitely buy again if I still had a .357 Sig. 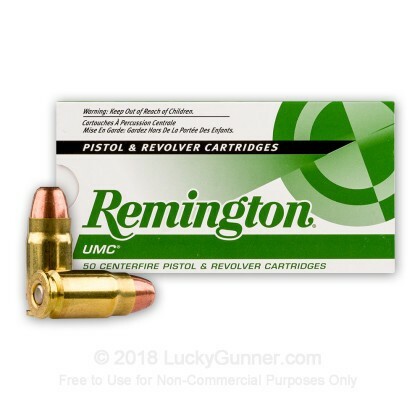 We also have this 357 Sig - 125 Grain MC - Remington UMC - 500 Rounds ammo in stock in a bigger quantity.